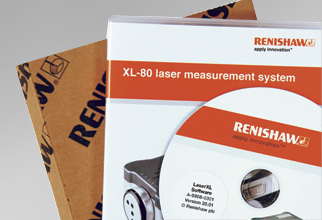 XL-80 System Software - CMM Inc.
Renishaw provides two main software solutions for use with the XL-80 laser system, LaserXL™ measurement software and QuickViewXL™ dynamic measurement package. LaserXL™ measurement software (and separate error compensation packages for many machine tool controllers) enables machine tool calibration to international standards. QuickViewXL™ dynamic measurement package allows real time viewing and analysis of dynamic data at rates of up to 50 kHz; just set up the laser, align optics and start viewing the data! The software is Windows® XP (SP2 or SP3) and Vista™ compatible only. System manuals are provided in separate electronic format only. Recommended 3 free USB, 2 ports for XL laser, XC compensator and USB mouse. More USB ports may be required if an RX10, error compensation or dual functionality is required. Note: a USB hub can be used to increase the number of available USB ports.